I had a lot of tours in Spring time with beautiful Cherry blossoms in Osaka, Kyoto, Tokyo and Nara. It was amazing season here and I was super happy to know many people who are my friends already now. 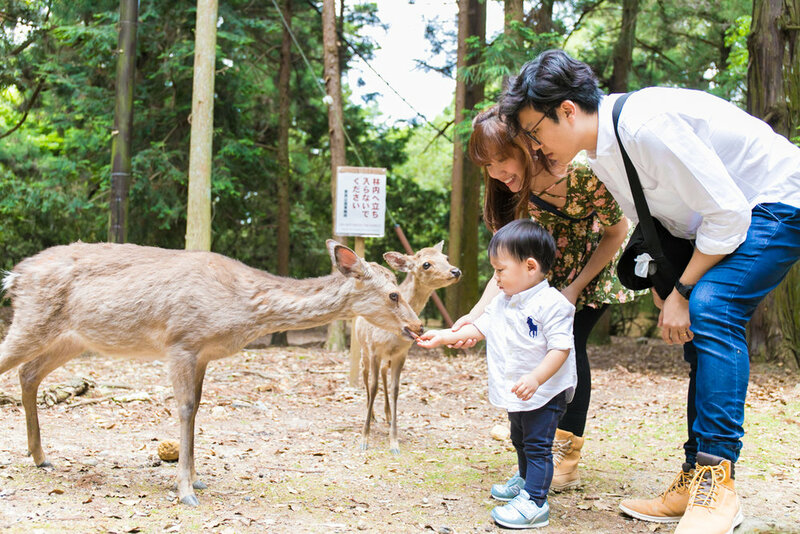 I held the tour at Arashiyama park, Seiryoji temple, Maruyama park, Yasaka shrine, Demachiyanagi, Kyoto imperial palace, Gion area in Kyoto, Osaka castle park, Sumiyoshi park, Sumiyoshi shrine in Osaka, Nara park, Kasuga shrine in Nara. In addition, Ueno park, Odaiba in Tokyo. Cherry blossoms were blooming and beautiful everywhere in Japan. I got many great pictures and memories with them and they are unforgettable experiences for me and I hope for my guests too. Cherry blossoms will bloom north of Japan area like Sapporo, Hakodate and Aomori. They bloom late because it’s colder than west south side. You can still see and take pictures with Cherry blossoms if you go to These areas. I am already missing Cherry blossoms and Spring. It is getting warm and Summer is coming soon. We can see other flowers and it is beautiful too. I am looking forward to meet new guests and friends in next season!! Photoshooting tour in ODAIBA, TOKYO!! I went to Tokyo for holding the tour!! I already took their pictures in Kyoto but we could meet again in Tokyo and had Photoshooting tour again in Odaiba!! We visited to Team Lab Odaiba for Photoshooting. This place is very photogenic and new place. but it is already so papular. We arrived there before opening time but many people already wait for opening around entrance. 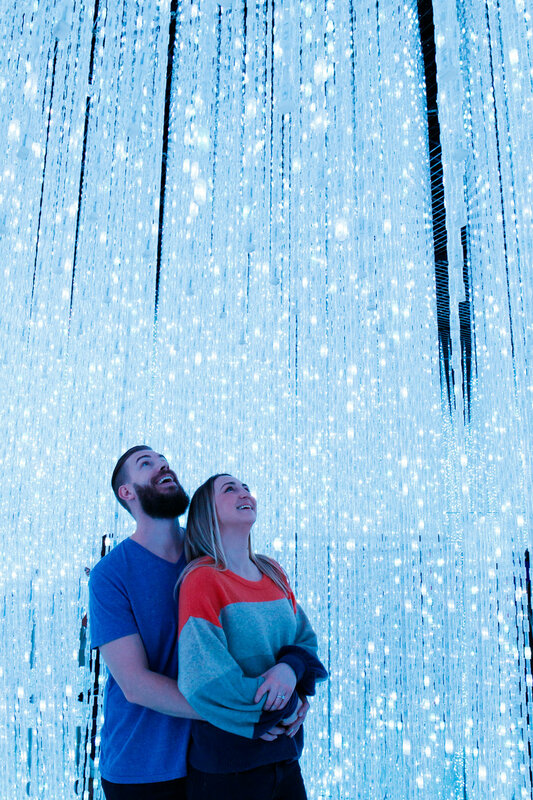 You should go there 20-30min before from open if you want to take pictures with less people. We could take pictures a lot but sometimes we needed to wait for taking pictures at some spots. It has some area like lanterns area, you can see projection mapping everywhere. They were so beautiful and everybody was crazy about taking pictures. Of course me too. But Actually it was hard to take because they don’t have much lighting. They should to make dark room because show projection mappings. We can take pictures of that but it might be hard to take pictures with that. That said, we could get some good pictures. Odaiba area had good Odaiba Ringai park beach and some good spots for photoshooting. Please contact me if you want to be taken pictures in Odaiba area or other area in Tokyo!! I have had many tours of surprised proposal tour from last year. 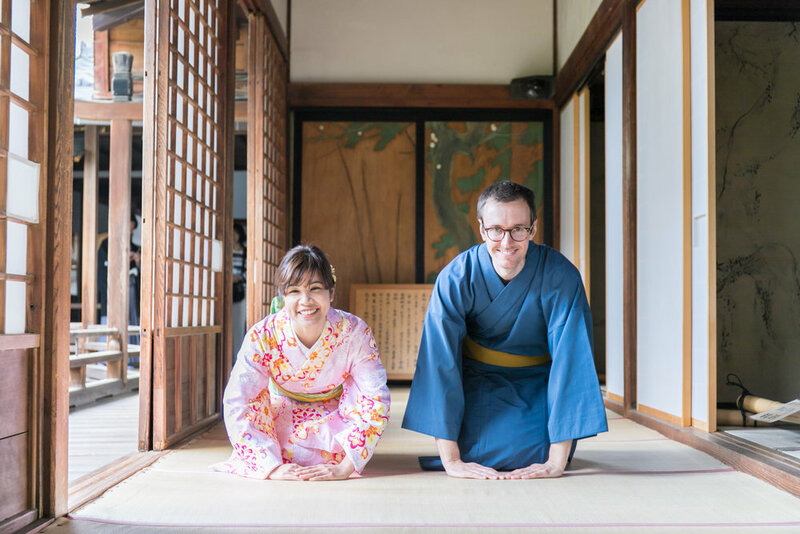 I am surprising because many tourists have some plans which they want to surprise propose their partner with photographer in Japan. I am so happy because they choose me, So I have been doing my best every time. This time, they come from US and he want to surprise her for proposal. I was waiting for them at Hankyu Arashiyama station and was nervous a little because I had to follow them without being noticed. It is not so easy. I found them and followed 20 min back from them until Bamboo forest. 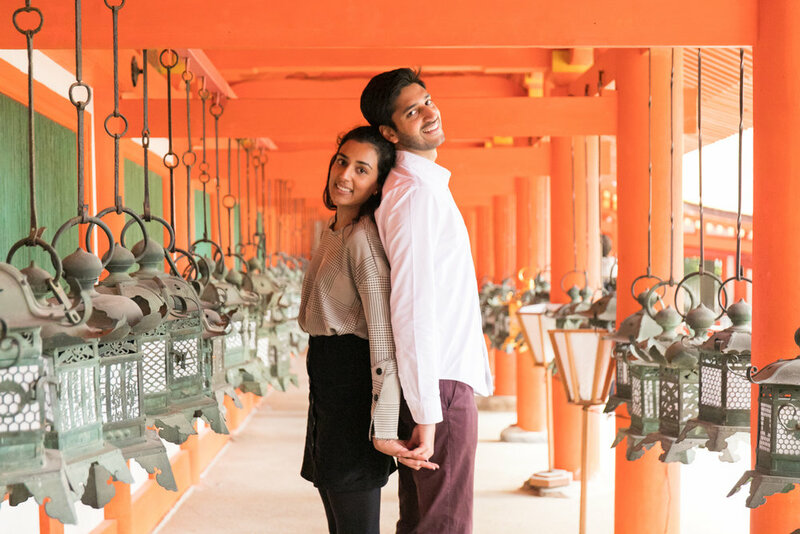 Arashiyama Bamboo grove is very nice place for proposal, So we choose. His proposal has succeed, Not to mention. They looked so happy and it made me happy too. She didn’t notice me and so surprised about photo shooting. After bamboo grove, we visited Seiryoji temple where 15 min walk from JR Saga Arashiyama station. We could see some Cherry blossoms there and take pictures with them. They were so beautiful and it was earlier than normal Cherry blossoms season. The Sakura was blooming earlier than others. I checked where we can see cherry blossoms before that day and I took them to Seiryoji temple. I really enjoyed this photo tour and Actually I met them again in Tokyo!! Hahahaha I will write about that next blog. Cherry blossoms season s coming soon!! I can’t wait for that!! I am going to take many happy pictures of tourists who is coming to Japan!! We met at Morinomiya station is one of the nearest station from Osaka castle park. They are for Singapore and we talked about my favorite foods in Singapore first. I felt its not first time to see them because they were so friendly and I didn’t need to make conversations because of them. We felt we are good team during my tour. They came to Osaka for the first time in 10 years, So I was happy to show them good places in Osaka. Osaka castle park is huge park in Osaka and many tourists visit the park everyday. We took many pictures at nice places where less people. It was beautiful day and blue sky was very beautiful and I took the pictures with it. I took them to the best place to see Osaka castle and It isn’t known well such as Pram garden. I was worrying how bloom prams but we could see many beautiful Prams there. They liked the places and we enjoyed Photoshooting there. After Osaka castle, We moved to Namba area. Namba area has very touristy place but it has good photo spots. America mura is young people town and we too pictures with wall arts, shops, local restaurants on street. A lot of Japanese young people drunk bobble tea everywhere and it is super popular now. Japanese new cultures are from this area in Osaka. Dotombori was so crowded but we could take photos there too. I explained Japanese culture and history in Houzenji Yokocho, they were interested in everything of my tour and it made me happy very much. I recommended them good local Okonomiyaki restaurant in Osaka and they went there next day and sent me pictures of that. I was so happy to help them to make good memories in Osaka. I hope they take my tour with their family next time and I am looking forward to take family pictures!! 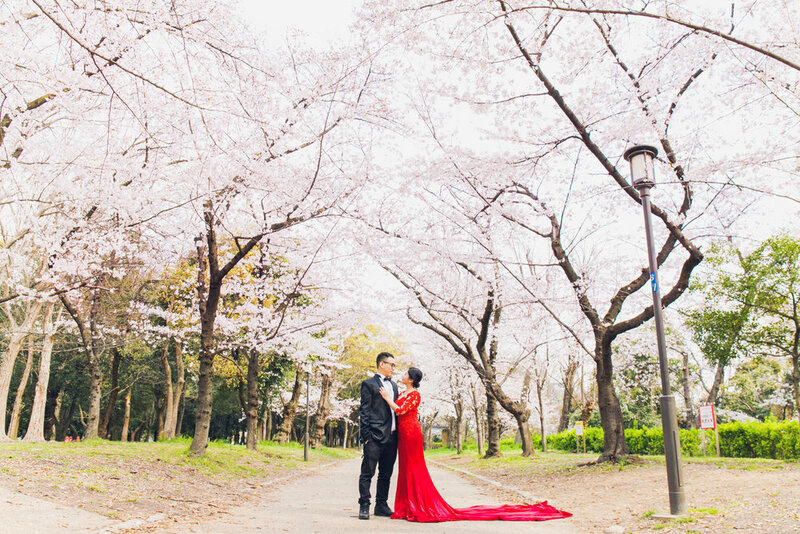 I am surprised that many tourists have a plan of surprise proposal in Japan and am happy because they need my help and I can help them and take the pictures of the moment. 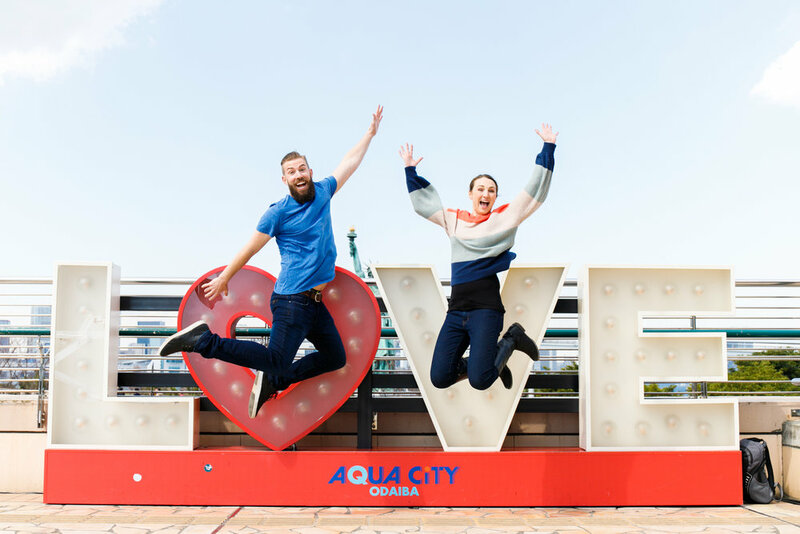 I had 5 booking of surprise proposal Photoshooting this year and every couple got happy here!! I am super happy to take their pictures every time. This time, a guy wanted to surprise her for proposal. Our plan is thisphotoshooitng is looked just birthday photoshooting for her. She said ‘she feel it was wired when she heard birthday photoshooting from him’ after tour but this surprise was completely succeed. We visited bamboo forest first and this place was proposal place. It was good timing because there are not so many people. 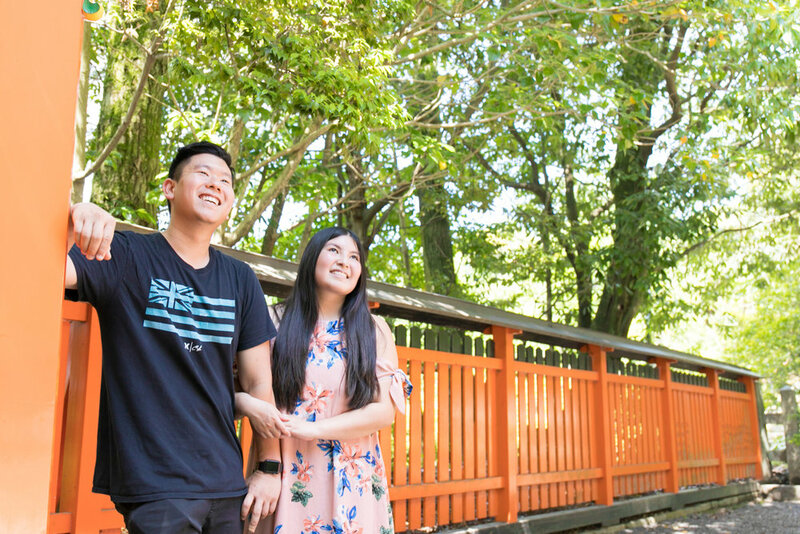 He proposed her with bamboo forest background and she was super surprised. She was crying and said YES. They made me almost cry and good time for them and me. After proposal, She look at the ring many time during the tour. It made me happy too. The happy are everywhere in the world. We need to find a little happy of our life and feel happy everyday. It is the way to be happy. I hope everybody who met me have many happy. Thank you!!! It was amazing Valentines day in 2019. I was nervous because I had to ask them for Free Valentines Photoshooting as local Photographer but of cource it was not Free Valentines photoshooting you know. He wanted his girl friend to surprise for surprise proposal. It was much colder day but I was so excited while I waited for them. He sent me a pictures and It was easy to find them. 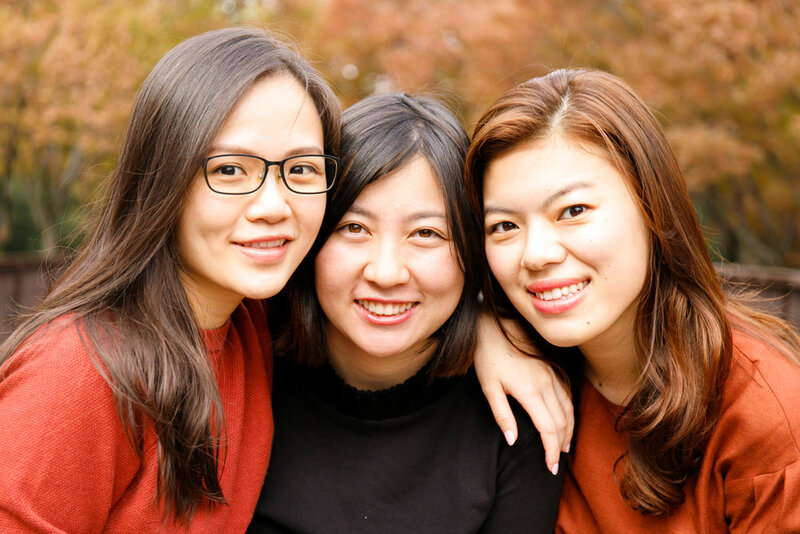 I asked them ‘I am looking for good couple model for Valentines Photoshooting’ and worried that she accept me or not but she accepted this Photoshooting and I could start this tour. I took them pictures along Osaka castle in the park. He was very natural and she wasn’t notice surprise proposal. 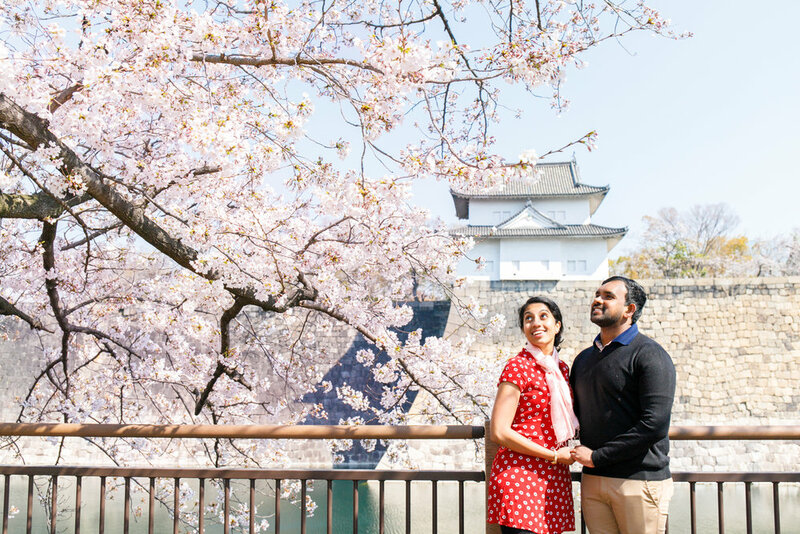 I took their pictures around Osaka castle and I was looking for the best proposal place. There are so many tourists and it was so hard to find good place where look nobody. We could find the moment and I was starting to take pictures of only her and then he was ready for proposal during that. Finally, He proposed her when she turn around. It was amazing moment and she look super surprised!! Other tourists came there and congratulations them. Everybody was happy at the moment and I got many good pictures. Surprise proposal is hard to make plan but it is very very happy Photoshooting and I would like to keep to help someone who want to do it in Japan. Thank you for giving me awesome time!! See you again in Singapore or Japan!! I have started to run this Photoguider tour from february in 2016. I was so nervous to see the first guest but didn’t need to be nervous after seeing him because he was super friendly and nice guy. He came to Japan from US and was interested in all of Japanese things. We met at Arashiyama station and went to Arashiyama bamboo forest, Seiryoji temple and Okochisanso garden. I have come to Arashiyama area many times before this tour to check where the best places to take pictures are. I took him to these places and take him pictures a lot and he liked to take pictures with his phone too, So I got many pictures of him when he was taking pictures. We talked about how to take pictures and Photoshooting. He has many knowledges of pictures and told me a lot of thing of it. It was very interesting for me. I planed to hold this tour for 2 hours but it was over 3 hours and half. I couldn’t hold the tour on time but it was awesome experiences for me and he told me ‘This tour was amazing and he had a lot of fun. You are great Photoguider. You should keep doing this tour!!’. This words have been staying in my heart from that day and I have been holding Guide and Photoshooting tour for 3 year and met many awesome guests and could made great friends all over the world thanks of him. I won’t be able to forget this experience and him. I will take pictures and give many happy to my guests from all over the world who have never seen yet. The Photoshooting tour in Arashiyama, Kyoto for solo traveler!! A solo traveler joined photoguider tour in Arashiyama area of Kyoto. I have been this place many times for Photoshooting. Mountains, river, monkey park, and bamboo forest. Many natures welcome you every time. We start this tour from bamboo forest. It is so popular place in Kyoto and nice to take pictures there. I usually take guests to bamboo forest where is not known well and fewer people. It was first time to Photoshooting for her but she was looked like a model and natural. Usually everybody is nervous a little when I take pictures of them first time, So I always make them to be relax. This time I didn’t need to make her to be and could get many good pictures. And then we walked to Seiryoji temple is large temple and away from bamboo forest a little. This place is very beautiful place to visit especially Autumn leaves season but unfortunately there are not red leaves there this time. But it was enough beautiful to take pictures and we got it a lot. I recommend Seiryoji temple to everybody who going to Arashiyama area in Kyoto. I have been there many times but never seen many people there and so peaceful. The last place of this tour was Togetsu bridge. This bridge is very popular and famous in Arashiyama and a lot of people visit and take pictures there. We saw many students who come here for school trip and the girl wanted to take picture with them. It was amazing memories for her and they were glad too. I really enjoyed this tour with her and I hope see her again in Tokyo next time!! Photoshooting tour with Autumn leaves at Yoyogi park and Harajuku in Tokyo!! The tour was held at Yoyogi park and Harajuku in Tokyo last Autumn season. They are super close friends and I have seen one of them last year in Osaka. This was her second time to take my tour. I was so happy to see her again in Tokyo. There are many people in Harajuku area especially afternoon, So we met early morning and take pictures there. Shops in Harajuku like clothes, crape, sweets and wall arts are good for back ground of Photo shooting. I checked good photo spots in Harajuku area before a few days and I was so happy because they liked these places I checked. We walked around Harajuku area and through shrine and Takeshita street and got to Yoyogi park. Autumn leaves were super beautiful in the park. Everything was brown and orange and it was quite Autumn color in Japan. They enjoyed scattering a lot of Autumn leaves each other and I took many pictures of the moments. It was so fun for us and got many awesome pictures. I really enjoyed this tour with them and they said me they were enjoying the tour. I am looking forward to see them again in Japan or Malaysia!! Thank you so much!!! 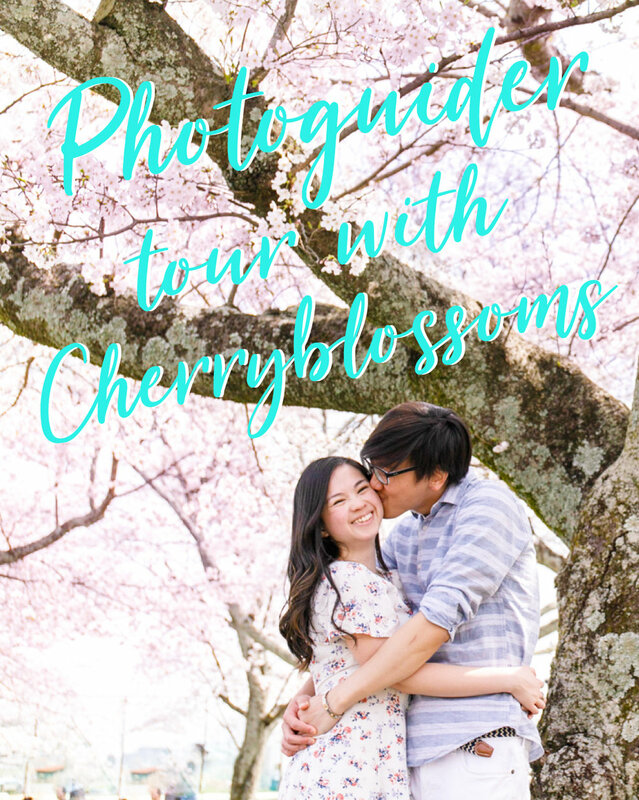 Now accepting reservations for Photoshoot tour with cherry blossoms in March and April, 2019!! The Cherry blossoms season is coming soon in Japan. They are usually full bloom around the end of March and beginning of April but sometimes it changes depend on temperature and places. It will bloom earlier in South of Japan and delay in North of Japan. The middle of Japan like Osaka, Kyoto and Tokyo have full blooming Cherry blossoms in March and April. It is really amazing scenes and get to nice pictures. 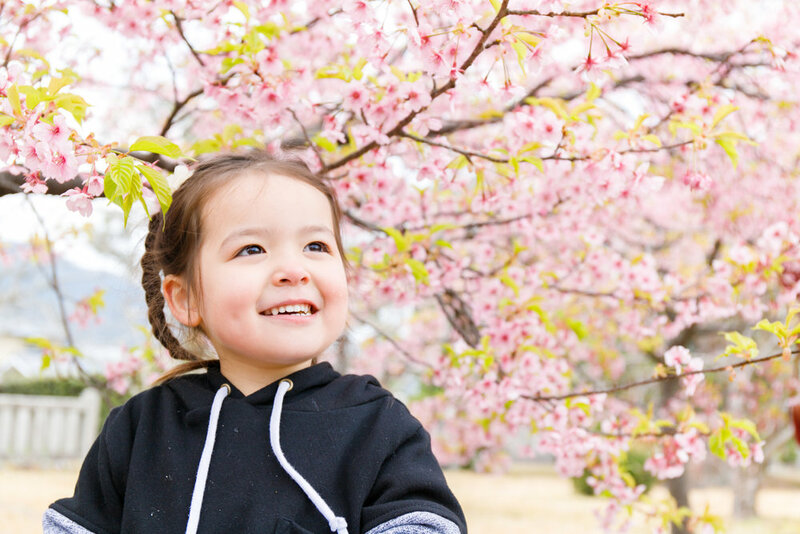 You should take Photoguider tour and get awesome pictures with Cherry blossoms if you have some plans to come to Japan in March or April of this year 2019. I am looking forward to see you and take your pictures!!! There are really beautiful red leaves in Kyoto in the end of October to November. We visit to Chishakuin temple to see leaves and take pictures there. They were super red and looked very beautiful with a little greens. It was the best season to see them and travel in Japan. After that, took pictures with many Torii gates in fushimiinari shrine and visited Arashiyama area. There are many people especially in Bamboo forest everyday. But some bamboo forests aren’t known very well and I took them there and took pictures a lot. 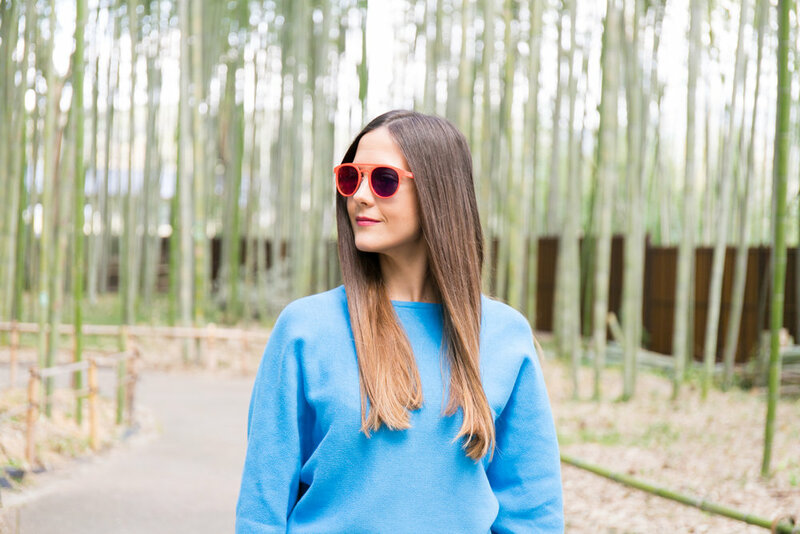 Arashiyama area is very nice places such as Tenryuji temple, Arashiyama monkey park, Togetsu bridge and Kimono forest to sightseeing and take pictures. You should go there in Cherry blossoms season and Autumn leaves season. You can see amazing scenes there!! 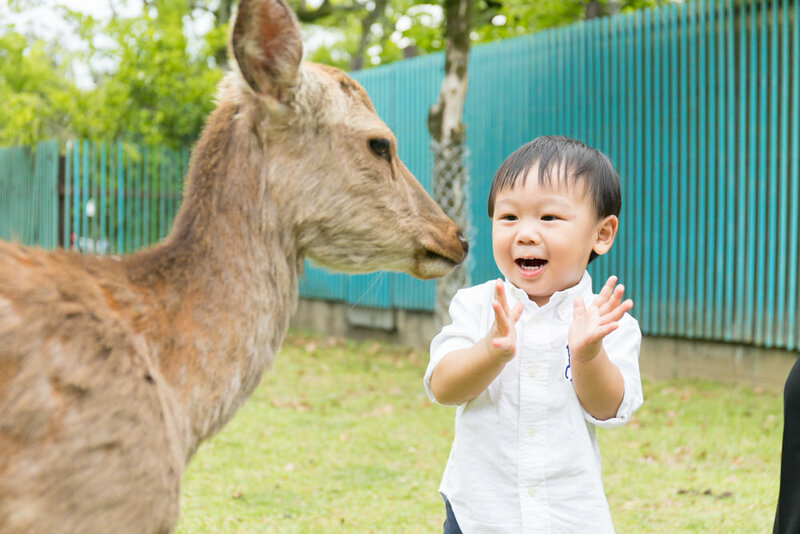 I took the moment he propose his partner in Nara park. I met his family before photoshooting and we prepare some sign ‘WILL YOU MARRY ME’ which they brought from their country. It was amazing stuffs. I was waiting for him and his partner at a place near from the sign. I was nervous a little because I have to stay as a tourist and I can’t miss the moment. After 30min, They were coming. I was so excited and she asked me where is Todaiji temple and ‘Are you propose your girl friend?’ after seeing sign. I couldn’t say only ‘No I am just taking pictures of deers’ and they are walking to the sign and he proposed her in front of sign as we planned. She was so surprised and it succeeded!!! 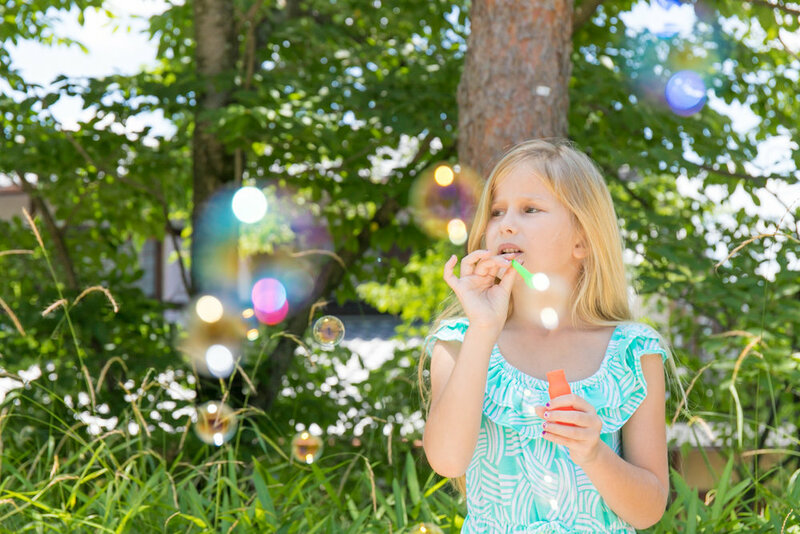 Their family joined them and she was surprised more. It was so happy time and they made me happy too. 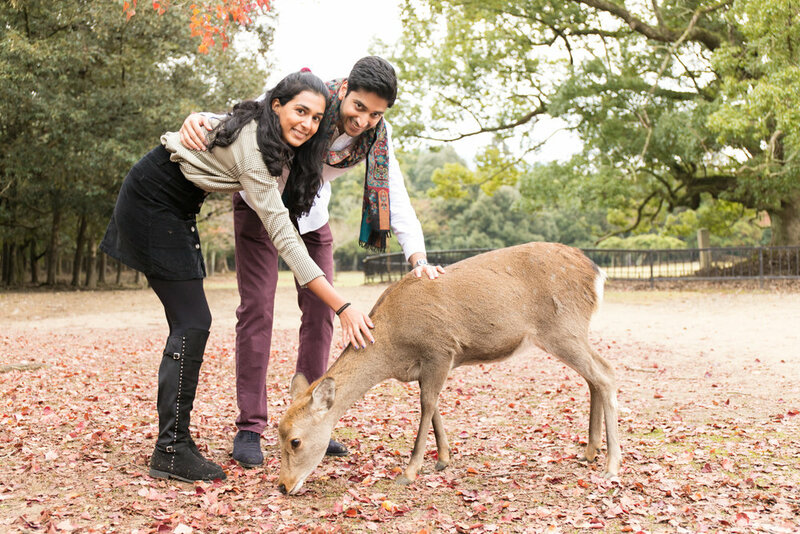 After that, We walked around Nara park and take pictures with deers and went to Kasuga shrine. 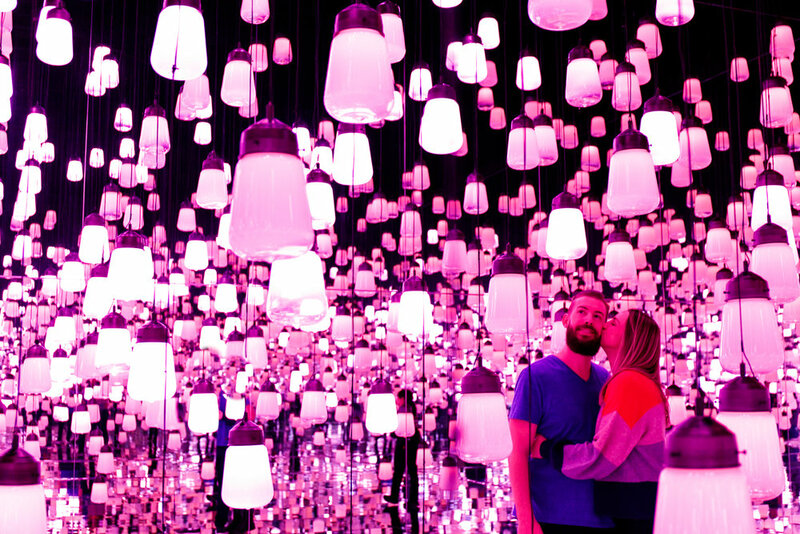 There are many lanterns and take pictures with them. It was amazing day for them and me. I was so happy they liked pictures I took!!! Thank you and congratulations!!!! 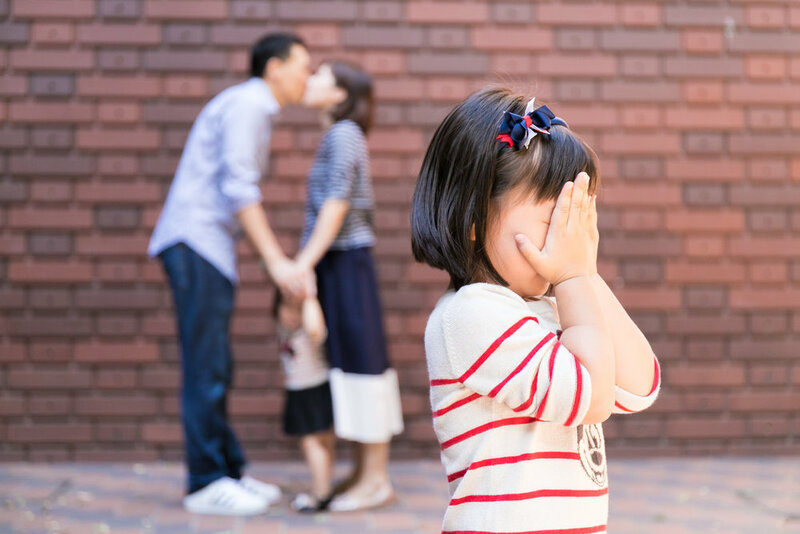 I would like to take pictures of surprise proposal in Osaka, Kyoto and Tokyo too. Please contact me if you have any plans about that!! TOKYO Photoshoot and Guide TOUR!!! 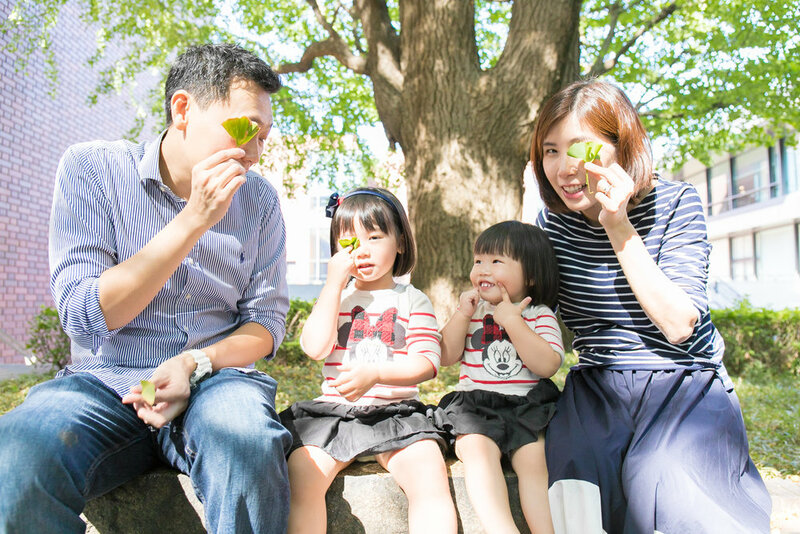 Family Photoshoot in Ueno park, Tokyo!!! I have just started the Photoshoot and guide tour in Tokyo!!! First guests are I held the tour in Osaka castle park last year. We haven’t met for a year and I was so excited to see them again. The Photoshoot place was Ueno park in Tokyo. Their children have grown a lot! Especially young sister was not walk so much last year but she could walk and run in Ueno park. I really enjoyed to take their pictures with big wheel at Science museum, National museum, Ueno Toshogu shrine and greens. I was a little nervous because it was first time to hold the tour but walked around Ueno park and checked good places before a day, So We got many awesome family pictures there. I am looking forward to seeing them again in Osaka or Tokyo or other city in the world!! A couple came from Hawaii and we visited in Fushimiinari shrine and Gioa area, Kyoto. It was first time to came to Kyoto for them and I was so excited to show them many beautiful places and take them pictures there. They were a little nervous when the tour was began but they were getting used be taken pictures. We got many awesome pictures thanks of them. Thank you so much and see you again in Hawaii!!! I held the tour in Kyoto for happy family who they were smiling every time this summer. The girl was so cute and showed me hula dance. I was surprised because she was awesome hula dancer than I expected. They gave me a nice memories and I am so glad if they think same thing as me. I was really enjoying doing this tour. Thank you so much!! It’s too late to write about great Photoshoot early summer 2018 but I will write how amazing here now. A guy contacted me about surprised proposal in Kyoto and I was so excited when I got a message from him. We have considered many time where and when the best for proposing and decide Chishakuin temple where is very famous for Hydrangeas. It was very awesome everything on the day. He proposed in front of many Hydrangeas and his partner was crying when she heard the word from him. I could see the best happiest time in their life. After that, We enjoyed photoshoot in Kyoto and had great time. I hope they are well and see them again in Japan. The guy joined night time tour and day time tour. He is also Photographer in Hawaii and also good model too. We got awesome pictures each night and day time. They look different style but I like both. I leaned Hawaiian culture from him a lot and talked about Japanese culture. it made me want to go to Hawaii again so much. I want to tell a lot of people about Japan and want them to like Japan. Thank you so much!!! !